A highly decorated general and one of the most prominent combat commanders in American history, David H. Petraeus has dedicated his life to public service, leading military campaigns in Iraq and Afghanistan and then serving as the director of the Central Intelligence Agency. One of the most effective military leaders in recent U.S. history, General David H. Petraeus—a highly decorated four-star general, whose distinguished military career spanned over 37 years and culminated in six straight commands (five of which were in combat)—addresses the most significant global challenges facing us today, including ongoing international security issues, macroeconomic trends and the tasks of strategic leadership in the 21st century. Widely credited for changing the course of two wars—by dramatically reducing the violence in Iraq when he led the so-called “Surge” and by halting the Taliban’s momentum in Afghanistan when he led the operation there—Petraeus was also instrumental in reshaping American military doctrine and then in implementing it when he led the conduct of comprehensive civil-military counterinsurgency campaigns. Serving in multiple campaigns—including nearly seven years deployed following 9-11—Petraeus has been described as one of the “great battle captains of American history.” His command during many years in combat has resulted in comparisons to Ulysses S. Grant, John J. Pershing, George C. Marshall and Dwight D. Eisenhower. Following his military service, Petraeus led the CIA, where he oversaw significant achievements in America’s global counterterrorism campaign, pursued a substantial initiative to increase worldwide intelligence coverage, guided the development of a strategic plan for the agency and oversaw the establishment of a new Economic Security Center. Petraeus has received numerous prestigious U.S. military, State Department, NATO and United Nations awards, including four Defense Distinguished Service Medals, three Army Distinguished Service Medals, the Secretary of State Distinguished Service Medal, the Bronze Star Medal for Valor, the NATO Meritorious Service Medal and the Combat Action Badge. Additionally, he has been decorated by 13 foreign countries. 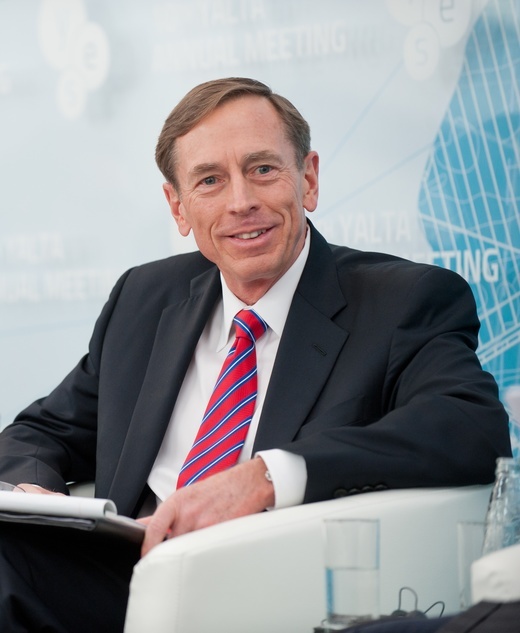 Petraeus is a Partner at KKR (a global private equity firm), and currently serves as chairman of the Global Institute of KKR and a Judge Widney Professor at the University of Southern California. General Petraeus invites audiences to participate in a moderated question and answer session where he addresses the significant global challenges facing countries and organizations today, including ongoing international security issues, macroeconomic trends, energy policy and the tasks of strategic leadership in the 21st century. 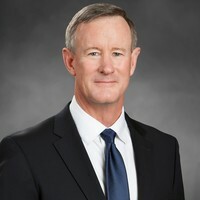 Audiences are given unprecedented access to one of the most effective military leaders in recent U.S. history as he takes questions from the interviewer and the audience for an engaging, dynamic and thought-provoking discussion. General Petraeus provided an incredible experience for our YPO membership to kickoff our season. 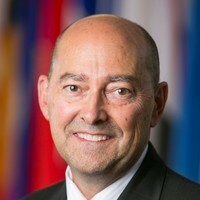 His insights on global issues, macroeconomics and geopolitical views captivated us all as well his views on the tasks for strategic leadership. “Winter is always coming” he said, “as leaders we must be prepared.” He commanded a record attendance and provided for a truly “Only-in-YPO” experience for our membership. The general was a significant hit and our inboxes are full of positive feedback and we've received a lot of calls as well. He's the right speaker for so many reasons. General Petraeus was wonderful and our members and guests were delighted with the event. He was gracious during the reception and brilliant on stage. The visit by General David Petraeus to Colgate University was the high light of Family Weekend for the fall of 2017. 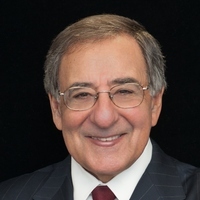 He packed the Colgate Chapel and two overflow rooms, and he gave an excellent 40 minute address on “Strategic Challenges in US Foreign Policy and National Security,” followed by a lively Q and A from the audience for another 50 minutes. The reaction from parents, students, and local citizens was enthusiastic – with high praise for his knowledge of world affairs and warm rapport with the audience. He was also very gracious at dinner and with his time afterward for drinks. I personally was very impressed with his detailed and sophisticated understanding of the world situation and with his character as a military leader and genuine human being. ‘Outstanding,’ as they say in the Army. Frank...incredibly dedicated.. deeply engaged in our conversation (re note-taking)...shame he's not in the Administration...very generous with his time. The segment with Gen. Petraeus went very well. He is an impressive and charismatic guy, and his intellectual incandescence is very obvious. The General was fantastic. It was truly a great event. The group loved him. General Petraeus comes across in the media as an impressive, candid, and intelligent scholar-warrior. An American hero. In person, in small group meetings with undergraduates, graduates, and faculty, and then in a large group event, he is even more impressive. He had many interesting insights into the events of the past dozen years, events he personally played a pivotal role in shaping. But he may have had even more interesting insights into what the next several dozen years might look like, by virtue of his new perch at KKR. The General delivered a masterpiece. His insights on diplomacy, security, economics and leadership were utterly captivating. Seeing our large dinner audience remain at attention for the whole conversation and hearing many rave reviews since then tells me that mine is a consensus opinion. General David Petraeus is one of the most fascinating personalities of present history which was clearly reflected in his inspiring speech delivered at the international Negotiation Conference in Zurich. General Petraeus has the unmatched ability to communicate tough truths in a positive and personal manner, allowing the audience to connect with him and follow his vision. Listeners experience 100% Petraeus leadership, tested in battle, when he talks about how to develop a big idea, how to guarantee commitment, how to oversee execution, and how to systematically refine the strategy for a continuous strive towards excellence. It has been a greatest honor to welcome the General at our conference and it would be our greatest delight to have him again. Special thanks to General Petraeus for participating in our recent Tate Lecture Series. We were overwhelmed by the rave reviews and positive feedback we received from the sold out crowd. We particularly appreciated him sharing the challenges he faced early in his career, his experience leading the surge, and how he’d counsel the President if he were part of the administration. General Petraeus provided our subscribers with an experience to remember and reflect upon for years to come. Overall this was an outstanding event that got rated a 9.4 out of 10 from our chapter – high marks! General Petraeus was gracious and flexible on-site and his answers during the moderated conversation (a perfect format) were very thorough - a credit to his knowledge. The comments we received regarding his presentation were nothing but positive and we consider the event to be a huge success. Thanks to WSB for helping us put it together! General Petraeus was gracious, eloquent and a real draw for the Houston community. His insight on the geopolitical issues of the day, understanding of the peoples and cultures involved, and ability to assess varying perspective, is truly unmatched. We had substantial attendance for our luncheon event and received superb feedback all around.